I love reading memoirs of ordinary people who do extraordinary things in the simple act of living life. I just finished a great read. In Farewell, Aleppo, Claudette Sutton shares her father’s gift to her: his story. Late in her father’s life, Claudette learns of his people, culture, and his struggles as he experiences the diaspora of the Syrian Jews. As a child, Mike Sutton enjoys large family gatherings for holiday celebrations and Sabbaths in Aleppo. However, as a young teen, he finds himself alone in China buying and selling what he can to survive for the duration of WWII. 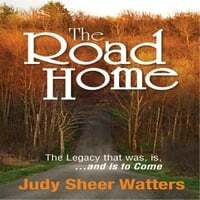 Claudette’s style of writing brings to life the history of that time for a family torn apart by war. With siblings spread throughout the world, family remains very important. With my own father, a Belarusian Jew, I missed the opportunity to learn about his family, and how war tore them apart. Memoir plays such an important part of our lives. What a gift this is for Mike Sutton’s generations to come.